If you led an active lifestyle before having a baby or are eager to shed those post-pregnancy pounds, you might be wondering how soon after giving birth you can start working out. Pregnancy is a huge change for your body and requires some time to fully recover. Even though you might feel like you’re ready to go, your body might not be there yet. Or, maybe your hormones are standing in the way of progress. There’s nothing more frustrating than hitting it hard and watching your diet only to see the number on the scale remain the same. Speaking of diet and exercise, how do you make sure that you are getting the calories you need to nurse your baby while still losing weight? These are all important questions to consider and factors that contribute to your post-pregnancy weight loss. Most doctors recommend gaining 20 to 30 pounds or so over the course of a normal pregnancy, which is enough to put most women into the overweight or obese category when measuring body mass index. That weight is necessary to support a baby, but not once the baby is born. Doctors and weight loss experts agree that it’s important to get back to pre-pregnancy weight in order to prevent health risks associated with being overweight or obese in the long term. 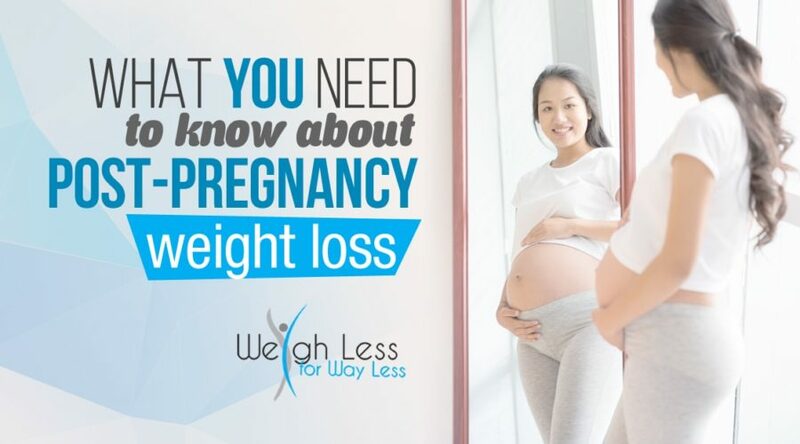 And if you plan to have more children, you should try to return to pre-pregnancy weight before becoming pregnant again so you don’t gain even more weight on subsequent pregnancies. The more you gain overall, the more difficult it will be to bounce back later. That said, the media often portrays unrealistic expectations of how quickly women can bounce back after having a baby. The photos you see of celebrities in size 0 clothes just weeks after giving birth usually come from severe diet changes and premature exercise, which can cause health problems of their own. For most moms, a more gradual approach is the best way to go. Listen to your body and start to return to physical activity when you feel the time is right and are cleared by a doctor. Begin with low-impact activities like walking with your stroller, then progress to more strenuous workouts from there. No matter how much you exercise, your body might be working against you when it comes to losing pregnancy weight. 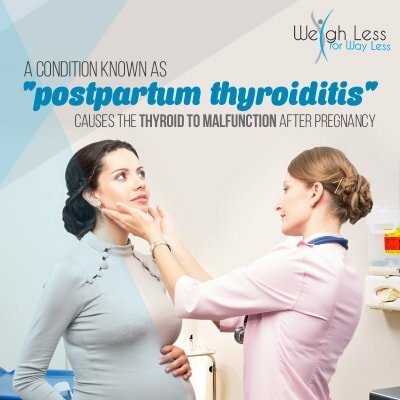 A condition known as postpartum thyroiditis causes the thyroid to malfunction, which can lead to stunted weight loss or even weight gain in some situations. Beyond that, stress can also have a big impact on your hormones, which can, in turn, impact weight loss. As you may already know, new motherhood is one of the most stressful times in a woman’s life so that will likely play at least a small role in your weight loss journey. High levels of stress will lead to high levels of cortisol release which weakens your immune system, decrease metabolism, and impairs digestion. Cortisol also stimulates your appetite, and fats that are consumed because of stress-induced appetite are more likely to end up in your belly. So, the combination of your decreased metabolism and increased appetite makes it tougher for you to lose the baby weight. However, exercise helps the body balance the hormones by releasing endorphins and dopamine into your body. These chemicals counteract stress and signal feelings of happiness, which reset the havoc caused by hormones in other situations. We haven’t yet mentioned one of the best ways to lose post-pregnancy weight breastfeeding. This simple activity can burn up to 500 calories per day without having to lift a finger. Breastfeeding will certainly help you lose weight quicker, but it also means that you need to fuel your body with nutrients that can be passed along to your baby. Even if you are not breastfeeding, it’s still important to fuel your body with things like fruit, vegetables, and lean protein. Much like exercise, don’t jump into a post-pregnancy diet too soon. Wait until your six-week check-up to receive approval from your doctor and start gradually from there. While you are caring for a new baby, it might seem like the last thing you have time for is creating a diet and exercise plan for post-pregnancy weight loss. Our team at Weigh Less for Way Less will work with you to create an individualized plan that will account for your weight loss goals and your lifestyle. 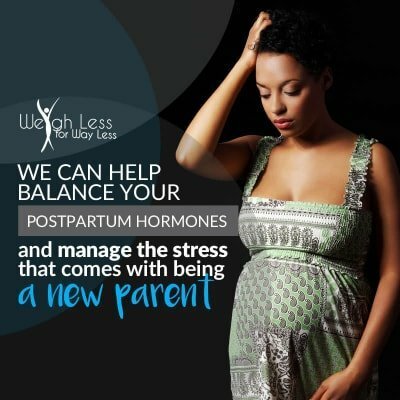 We offer a variety of weight loss options that will help balance your postpartum hormones and manage the stress that comes with being a new parent. Not only will you lose weight, but you’ll also feel better mentally and physically. Contact us if you have additional questions about post-pregnancy weight loss or are looking to start a weight loss plan. Call today to schedule an appointment at one of our three locations in the Chicago area: Elmhurst, Burr Ridge, and Oak Lawn Illinois.